We perform a systematic analysis on the large-scale taxi trip data to uncover urban mobility and city dynamics in multimodal urban transportation environments. 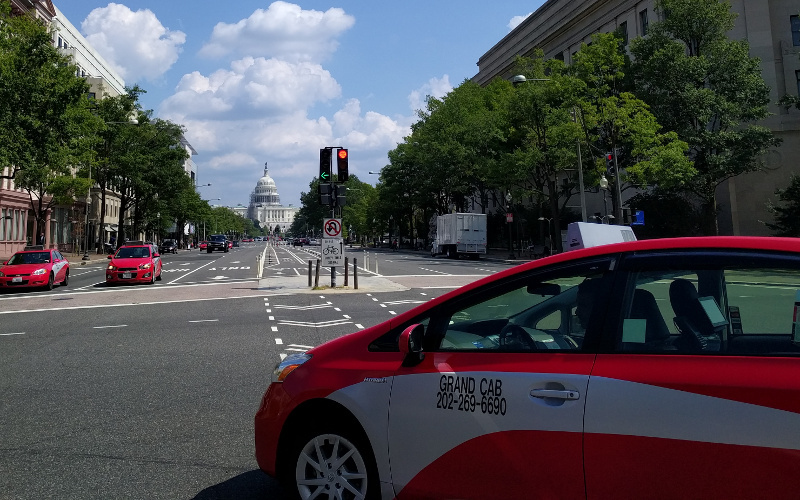 As a case study, we use the taxi origin-destination trip data and some additional data sources in Washington DC area. We first study basic characteristics of taxi trips, then focus on five important aspects. Three of them concern urban mobility, which are respectively mobility and cost including effect of traffic congestion, trip safety, and multimodal connectivity; the other two pertain to city dynamics, which are respectively transportation resilience and the relation between trip patterns and land use. For these aspects, we use appropriate statistical methods and geographic techniques to mine patterns and characteristics from taxi trip data for better understanding qualitative and quantitative impacts of the inputs from key stakeholders on available measures of effectiveness on urban mobility and city dynamics, where key stakeholders include road users, system operators, and city. Finally, we briefly summarize our findings and discuss some critical roles and implications of the uncovered patterns and characteristics from the relation between taxi system and key stakeholders. The results can support road users by providing evidence-based information of trip cost, mobility, safety, multimodal connectivity and transportation resilience, can assist taxi drivers and operators to deliver transportation services in a higher quality of mobility, safety and operational efficiency, and can also help city planners and policy makers to transform multimodal transportation and to manage urban resources in a more effective and better way. X. Xie and Z. J. Wang, “Uncovering Urban Mobility and City Dynamics from Large-Scale Taxi Origin-Destination (O-D) Trips: Case Study in Washington DC Area,” WIOMAX, WIO-TR-18-003, 2018.